As the fall months arrive, Northwest Vermont’s property market is continuing to witness healthy real estate demand. With the local economy continuing to grow and interest rates remaining at historically low levels, buyers are returning to the market, including an influx of first-time homebuyers. That has lifted residential home prices between 2% to 3% so far in 2015, which is representative of the type of healthy sales gains that were typical before the recession. The region’s employment outlook remains healthy, thanks to hiring by local businesses such as Dealer.com and the University of Vermont. In August, the unemployment rate in Vermont stood at 3.6%, one of the lowest in the country. Economists at the Vermont Economic Outlook conference have forecast that 1,500 new jobs will be created in the state this year. Those trends are bringing first-time homebuyers back into our market, especially as younger professionals seek to gain a foothold in the property market. The millennial generation, which now stands as the largest generational group in America, is expected to become the country’s biggest home buying demographic within the next five years, according to real-estate data service Zillow. In the Northwest Vermont market, our agents are already seeing younger first-time homebuyers enter the market. A survey earlier this year of Coldwell Banker Hickok & Boardman Realty clients found that 37% had just purchased their first home, which is approaching typical levels of 40% of the market. On a national basis, the percentage of first-time homebuyers stood at 33% last year. Economists now consider it less likely that the Federal Reserve will start raising interest rates this year, following a disappointing national jobs report in October. If the Fed opts out of boosting rates, it’s likely that mortgage rates will remain near historic lows for several more months. Despite the solid outlook for our region, the property market is facing a few problematic issues, including affordability and rising property taxes. Residential property in the region remains expensive compared with wages, and increases in taxes have added to buyers’ concerns. Despite those headwinds, Coldwell Banker Hickok & Boardman Realty is forecasting continued incremental growth in housing prices and steady demand for the remainder of 2015 and into 2016. For the first nine months of this year, the median sale price for residential property increased 2.9%, while the number of unit sales jumped 13.7%. That marks an improvement over 2014, when unit sales and pricing was little changed. As always, it remains that both sellers and buyers need to reflect on their personal situation. It is increasingly important that you utilize the local knowledge within this report and the advice of your agent – to make an informed decision about your next move. Coldwell Banker Hickok & Boardman Realty is forecasting continued incremental growth in housing prices and steady demand for the remainder of 2015 and into 2016. The resurgent Northwest Vermont real estate market continued to demonstrate healthy pricing and demand during the third quarter, after a strong spring and early summer. Sales jumped 13.7% during the first nine months of 2015, with each of the region’s four counties recording more residential transactions than a year earlier. Across the four counties tracked in this report, the median sale price rose 2.9%. The real estate market in Chittenden County has demonstrated healthy conditions during the first nine months of 2015. Steady price increases in the 2% to 3% range represent sustainable gains, while pent-up demand from first-time homebuyers has resulted in a boost in activity this year. During the summer and early autumn months, the real estate market has sustained the momentum that began after a slow winter, when our agents noted that below normal temperatures caused some sellers and buyers to defer their real estate plans until warmer weather and new inventory arrived. Chittenden County has added 4,000 new jobs since 2007, before the recession started, according to University of Vermont economist Art Woolf. Local companies such as Dealer.com and WebGrocer are hiring, bringing new homebuyers into the market. The state’s unemployment rate stood at 3.6% in August, one of the lowest in the country. Corporations in Vermont could add 1,500 private-sector jobs this year, according to a forecast from economists at the Vermont Economic Outlook Conference. Affordable properties in the $250,000 to $350,000 price range are especially in demand, with first-time homebuyers returning to the market and driving competition for these properties. Unit sales surged by 31%. Still, median pricing slipped 4.5% during the fi rst half of 2015, which indicates that buyers are seeking lower-priced housing. Affordability remains an issue in the Queen City and the surrounding areas. Because of the cost of housing in Burlington, some buyers are turning to nearby towns that offer either lower prices or more space. 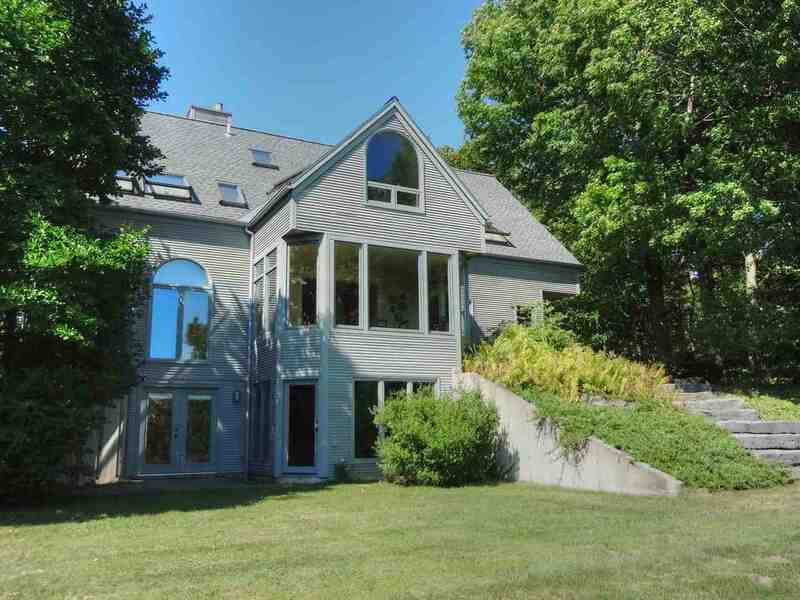 Winooski, Essex, and Colchester all witnessed an uptick in sales this year through September. The multi-family market recorded 72 sales in the first nine months of 2015, compared to 61 sales in the same period a year earlier. For a longer discussion of trends in this market, please see our multi-family section in this Fall 2015 Market Report. Land sales increased by 8.8%, for a total of 37 transactions through September 2015. The number of new land listings declined 28% over the same period last year, to 124. With a modest increase in sales and a decline in new land listings, the market is beginning to absorb the inventory. Median price was $132,000, just over a 3% decline from a year prior. Apartment hunting in Northwest Vermont is often a competitive endeavor, given an extremely low vacancy rate and increasing demand from a diverse professional workforce. Because our rental expert has extensive contacts with landlords, Realtors and associations, Coldwell Banker Hickok & Boardman Realty is well positioned to help clients find the most recent properties on the market. The vacancy rate stood at 2.8% in June, compared with a two-decade average of 1.4%, according to real estate consulting fi rm Allen & Brooks. The region’s vacancy rate has eased this year due to a boost of new apartment construction, such as Finney Crossing in Williston and Riverrun Luxury Apartments in Winooski. The higher vacancy rate is allowing renters to take more time when assessing and deciding on which property to lease, although all available units are still fi nding tenants, Allen & Brooks noted. The county’s vacancy rate, while not as low as in the past, is still well below the national average of 4.1%. Local employers such as the UVM Medical Center are hiring, with many of the professionals opting to rent before buying. As the economy continues to improve, Coldwell Banker Hickok & Boardman Realty believes more renters will decide to buy homes, which could lead to an even higher vacancy rate. Some less expensive neighborhoods, such as Burlington’s Old North End, are witnessing an increase in demand because they are more affordable than the Hill Section and other Burlington neighborhoods, Allen & Brooks notes. Some renters are looking for apartments in newly constructed buildings, such as South Village in South Burlington and the Packard Lofts in the Old North End, because of the convenience of living in a newly-built home with amenities. Grand Isle is attracting more buyers, thanks to a stronger economy and lower gas prices, but the county is recording fewer high-end property sales. Our agents are noting a lack of strong inventory in the $600,000 and higher price range, as well as fewer upper-end buyers. As a result, property sales in the first nine months of 2015 were focused on mid-priced homes. While the median sale price dipped 18% to $191,050, the number of unit sales rose 10.8% during the same period. The county’s waterfront properties also draw retirees and those looking for a lakefront retreat. Trends in the first nine months of 2015 have been influenced by several factors. The median sale price slipped 18%, as the market shifted to mid-priced single-family homes. The higher end of Grand Isle’s property market has been slower to recover than homes affordable to middle-class buyers. During the first nine months of the year, the county recorded three luxury sales, far fewer than neighboring Chittenden County. the smallest real estate market by volume in Northwest Vermont. Nine land sales were recorded in the first nine months of the year, compared with 15 sales a year-earlier. The median sale price slipped 58% to $60,000. A healthier economy and lower gas prices are helping bring buyers back to the real estate market in Addison County. Middlebury is the county’s most active town for home sales. The number of transactions jumped by almost 29%, while the median sale price rose 8.8% to $225,000. Some towns, such as Cornwall and Hancock, recorded signifi cant jumps in median sale prices, which is due to the small number of overall transactions. That means one or two expensive sales can have an oversized infl uence in median pricing. Land sales were relatively steady at 26 transactions, while the median sale price rose 15.7% to $88,500. Some retirees and homebuyers have been seeking land purchases in the county in order to custombuild homes. Employers including UTC Aerospace, a supplier of aerospace and defense products, and Middlebury College are hiring, helping to draw more buyers into the market. When gas prices decline, as they have in recent months, the county becomes more desirable to buyers who work in Chittenden County because commuting costs are lower. With high-end waterfront property, luxury buyers are drawn to the county. Five out of this year’s luxury sales were recorded in the county, including four sales in Cornwall and one in Hancock. All of those trends helped boost the number of transactions by 14.2%, while the median sales price rose 2.4%. Still, not every town in the county is equally benefitting from the boost in demand. Those towns in the western section of the county – which are closer to 1-89 — are seeing higher median pricing and stronger demand. Fairfax, which borders 1-89, recorded both higher median pricing and sales volume, for instance. Many towns to the east, which are farther from the interstate, saw a dip in median pricing. Given the difficulty in finding single-family homes in the sub-$250,000 range in Chittenden County, more buyers are looking at properties in Franklin County. The continuation of low gas prices has helped to make the county more affordable for commuters in the past year. The revitalization of St. Albans, as well as hiring by local employers such as pharmaceutical company Mylan and logistics company A.N. Deringer, are supporting demand for housing. Land sales fell 21.4% to 22 transactions during the first nine months of the year. Land sales were slow during the winter months, when sub-normal temperatures kept buyers sidelined, but they’ve picked up during the summer and fall. The median sale price for land parcels rose 23% to $69,500. The multi-family market dropped slightly, with 17 sales during the first nine months of 2015 compared to 20 in the same period last year. With high prices and competitive bidding for multi-family properties in Chittenden County, some investors are looking to Franklin County. The median sale price rose 31% to $221,100. The market for Duplexes and three- and four-bedroom unit properties has grown this year, with sales rising 8.2 percent in the first 9 months of 2015. However, our agents have noted that inventory is often an issue, especially when it comes to properties that are both in good condition and in prime locations. With mortgage rates remaining low, some renters are considering purchasing a home rather than continuing to rent. We are seeing that refl ected in a higher percentage of fi rst-time purchasers in the market. This trend could push vacancy rates higher in the long term, according to Allen & Brooks. At the same time, local businesses such as Gardener’s Supply and Turtle Fur are hiring, bringing new professionals to the region. Given that many of those professionals initially would rather rent than buy, that’s keeping the rental market strong. With fewer multi-family properties entering the market in Burlington, investors are turning to neighboring towns such as Winooski, where properties have a lower price point and there may be more inventory. That has pushed the median sale price to a slightly lower level than a year earlier. There has been some easing in the region’s tight vacancy rate, although it remains below the national rate. The vacancy rate in Chittenden County now stands at 2.8%, above the long-term trend of about 1.4%, according to real estate consulting fi rm Allen & Brooks. The national vacancy rate is about 4.2%, by comparison. Because monthly rents have steadily increased in Chittenden County, that’s proved attractive to investors. Across all apartment sizes, rents rose 2.3% last year, for instance. Still, the region’s high rents are of increasing concern among policy makers and renters.